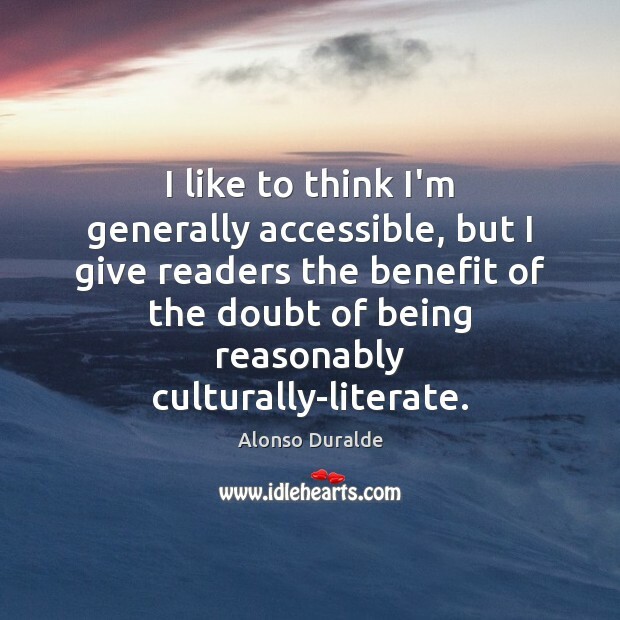 Enjoy the best inspirational, motivational, positive, funny and famous quotes by Alonso Duralde. Use words and picture quotations to push forward and inspire you keep going in life! Proving that the best villains have the charisma of a hero, (Jason) Statham makes a strong impression, supplying the kind of menace that permeates the movie even when he's not on screen. 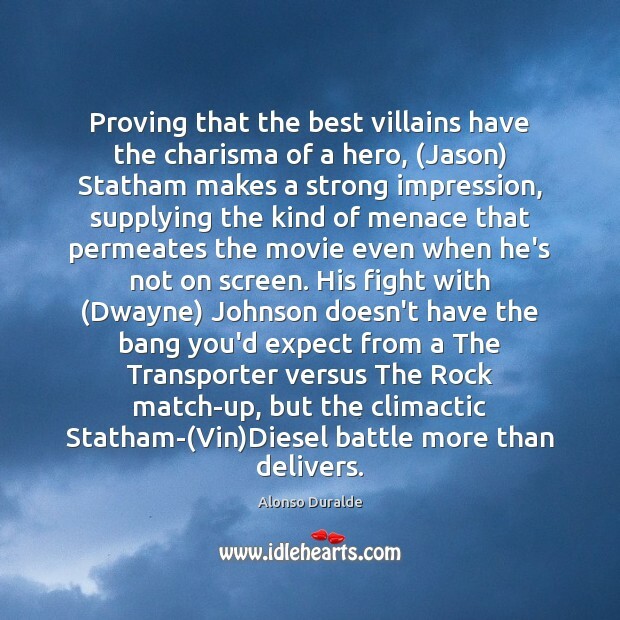 His fight with (Dwayne) Johnson doesn't have the bang you'd expect from a The Transporter versus The Rock match-up, but the climactic Statham-(Vin)Diesel battle more than delivers. 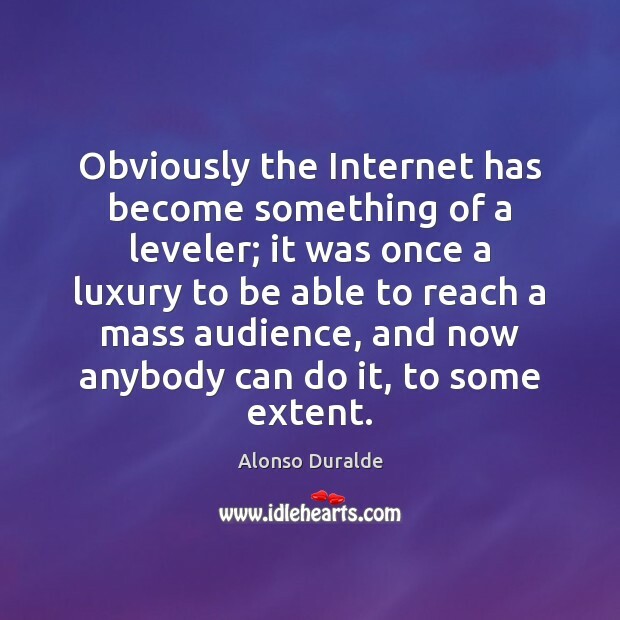 Obviously the Internet has become something of a leveler; it was once a luxury to be able to reach a mass audience, and now anybody can do it, to some extent. 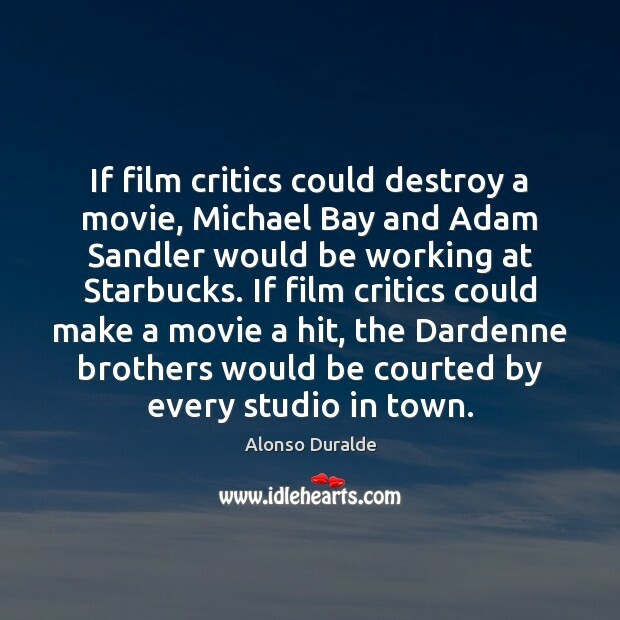 Even before I started going to movies, I loved the idea of them. 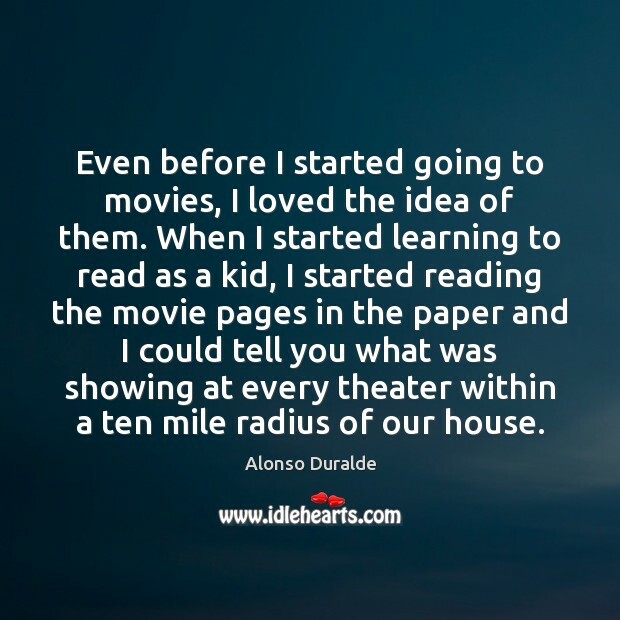 When I started learning to read as a kid, I started reading the movie pages in the paper and I could tell you what was showing at every theater within a ten mile radius of our house. I like to think I'm generally accessible, but I give readers the benefit of the doubt of being reasonably culturally-literate.